It’s time for the political class in Australia to admit that they’re well and truly addicted to the Labor Party. I’m not just talking about the obvious Labor-obsessives, including Labor’s own community of politicians, staffers, supporters, donors, members and affiliated unions. I’m talking about everyone else who use Labor as they’re first point of reference, as their yardstick in every and any discussion, or even every thought, that they have about politics; everyone including the Abbott government and each State’s Liberal or National Party, including those in government and in opposition. The mainstream media. The Greens. Independents. And everyone who takes any more than a cursory interest in politics, including the political wonks on Twitter. There is no discussion of politics in Australia without Labor being at the centre of it. Don’t believe me? Let’s look at the example of the way the Abbott government communicates with the electorate. Every single policy announcement and comment on pretty much anything that the government does is littered with ‘Labor did this badly so we’re going to do it this way’. Or ‘Labor caused this problem and we’re now left to solve it’. We all know that Abbott has a particularly strong loathing for Labor because Gillard out-negotiated him in 2010 to win government, taking away from Abbott something he believed to be rightfully his since he was born to rule. This loathing is clearly an obsession Abbott will never recover from. We also all know the Abbott government is the most right-wing ideologically extreme government the country has ever seen. But we never get to actually hear about these extreme values from the mouths of the politicians who hold them because the only values they are willing to admit to are ‘we’re not Labor’. So rather than actually explain that they’re slashing and burning government spending on services the community, and economy, relies on because they ideologically prefer small government, instead Abbott and co just say ‘we’re fixing Labor’s mess’. It’s simplistic rubbish because in fact Labor left the country in an incredibly strong position, having managed to successfully intervene in the economy to save it from a GFC-led-recession. But the problem is, Abbott always got away with this type of rubbish because no one calls him out on it. Because everyone else is as obsessed with Labor as he is. Because Labor-bashing has become so mainstream and predictable that when Abbott bashes Labor to justify his ideological war on Australia, no one looks past bashed-Labor and actually asks who on earth this Abbott government is. That’s how we’ve got where we are now. No one looked at Abbott in opposition and no one really knows how to look at Abbott now he’s in government, because they’re still obsessed with Labor. The mainstream media showed off their obsessiveness over the last few weeks in a flurry of over-excited commentary and analysis of the ABC’s Killing Season documentary. This documentary, which I very much doubt was watched by anyone but the politically obsessed niche audience who knew all about the history being reported anyway, provided a gift to the media. The gift of being able to talk about Rudd and Gillard again. Because oh, how they missed talking about Rudd and Gillard! Let’s remember that the Rudd and Gillard thing happened 5 years ago in 2010. It was covered in the news consistently all day every day up until Abbott won the election in 2013. There’s hardly a political journalist in Australia who can claim not to have been themselves one-eyed obsessed with the Federal Leadership of the Labor Party between 2010 and 2013. But the simple fact of the matter is that Rudd and Gillard are no longer involved in Australian politics. Yet, the media still think they’re the story. And they’re trying to pull Bill Shorten back into the story like desperate drug addicts scrounging around in the gutter for a sweet hit of Labor-bashing. Amazingly, the mainstream media’s Labor leadership tension obsession has outlived a much more relevant story; Abbott’s leadership problems. We had Abbott’s leadership opponent Turnbull this week contradicting Abbott’s political game playing strategy of using ISIS to scare people in the most obvious, purposeful differentiation of leadership styles Turnbull could have possibly chosen. We’ve had numerous leaked memos, including the leaking of a cabinet conversation basically word for word published in the Sydney Morning Herald. Yet these blatant leadership tensions, and the leadership crisis from the start of this year which saw Abbott only keep his job by a narrow margin, pale in the media’s coverage as compared to their delight at talking about Rudd and Gillard again. The obsessive addiction to Labor-bashing is incredible to observe. Shorten’s appearance at Abbott’s witch-hunt of a Royal Commission into Trade Unions this week is just another example of how the media love to play into Abbott’s Labor-bashing hands and happily repeat phrases like ‘Shorten has questions to answer’ that have no basis in rational reality, just as the phrase had no basis when applied to the proven-yet-and-yet-again entirely innocent Julia Gillard. It’s not just the Liberal National Party who use Labor-bashing as their political reference point, nor is it just the mainstream media. The Greens are also guilty of such an obsession. Because the only reason the Greens exist is to differentiate and they hope, one day, to replace Labor as the left-wing party of government. So everything they do, naturally, has to explain why they’re different from Labor and so, naturally, they spend much of their lives Labor-bashing in tune with the Liberal National Coalition, the media, and everyone else interested and involved in politics in Australia. Did anyone notice the Greens recently had their own leadership change, which if the media had bothered to take any interest in, would have been ripe for stories about Milne handing Di Natale the baton in an obvious back-room deal that precluded any other candidates from nominating? No, of course not, because the Greens are pure and don’t get probed like Labor do. There’s no time to probe Greens back-room deals when there’s Labor-bashing to be done! When this Greens leadership change occurred, I wrote about what it would take for the Greens to become a mainstream political party. This included the advice that Greens would have to start to develop their own policies and to stop trying to take credit for Labor policy that they have supported in the past. That’s the thing about the Greens – they only differentiate themselves from Labor when it suits their political purposes, but when Labor has done something popular the Greens try to steal the credit. Talk about unfair! Yet of course they get away with it because, well, they’re not Labor. Once you notice the Labor obsession, it is impossible to stop noticing it. It’s become such an engrained feature of the political landscape in Australia, it’s clear if the Labor party disappeared, no one else would know what on earth they stand for and how to talk about politics without them. And you also need to notice that in all commentary about Labor, Labor can do no right. As an example, if a policy such as how to manage asylum seekers goes to Labor’s National Conference to be debated, this is framed as Labor disunity. But if such a policy was decided outside of a democratic debate, it would be framed as Labor’s faceless men making back room deals. The irony is, much commentary bemoans Labor’s apparently missing values and asks what it is that Labor stands for. But it’s just Labor-outsiders who are confused. Because Labor knows exactly what they stand for. Maybe if everyone else stopped Labor-bashing for one second, they might actually understand too. This is one of the most insightful and lucid analyses that I have encountered since the Liberals bulldozed and bulldusted their way into government with the full force of Murdoch’s propaganda juggernaut and our MSM’s echo chamber stuffed with lazy, dopey journos. Since the ABC News has lain doggo throughout this decade (e. g. Mark Simpkin, ABC chief political correspondent, now runs the PM’s media operations), thank goodness for AIMN’s cogent columnists like the exceptionality perspicacious Ms Rollison. It gives me a scintilla of hope these political Dark Ages will not continue to blight our society into the next decade. my chief gripe is whenever the liberals commit some dreadful sin the discussion invariably begins with “of course Labor did it too”.or Labor was just as bad….unexamined, axiomatic.The worst is equating Julia’s carbon tax “lie” with all Abbots outrageous lies.It seems to happen every time a LNP disaster is discussed ,even by our ABC.Tony Jones a serial offender. 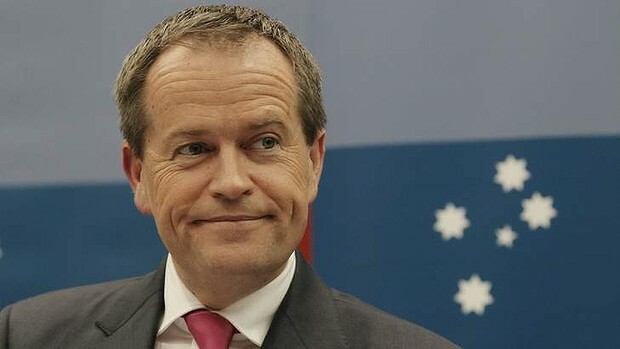 Have just read Katherine Murphy’s otherwise excellent article in the Guardian online.There was no possible way to equate any part of T A’s crazy behaviour this week with anything Labor has ever done,still she had to introduce her piece with a reference to Bill at the R C! And Victoria that is why I hate the majority of the Main Stream Media.They are just an extension of the LNP, in reality their propaganda unit. The MSM is as putrid and mendacious as the idiot abbott and his band of misfits. I can never understand why Australia falls in love with these far right wing lunatics,The right wing lunatics who attack and take away their hard won rights and freedoms. It does not make sense that any ordinary hard working Australian could ever vote for the fascists of the LNP. Anyone interested can check the raving Frank’s tweets, and see the company he keeps. It includes ‘Queen Victoria’. What is being defended here is a Labor Party playing gutless me-tooism with Abbott’s thugs. And Frank is apt defence of that. What a way with argument you have. You haven’t mentioned the offer I can’t refuse yet. I am confident you would be a paragon of restraint if you met me. Thanks again Victoria for you well written true to fact article. I like it when Abbott goes off his head when referring to ISIS invasion of Australia when Abbott does his doorstop fear drug injection into Australia’s dopey media. Oh then Abbott said the other day, mining and farming can co-exist together, becomes another furphy flowing from his lip trap. So far Captain Abbott has told fourteen broken promises lies to the Australian pubic in less than two years, while the list of stupid remarks can only add in making Abbott the worst prime minister of Australia has ever had.